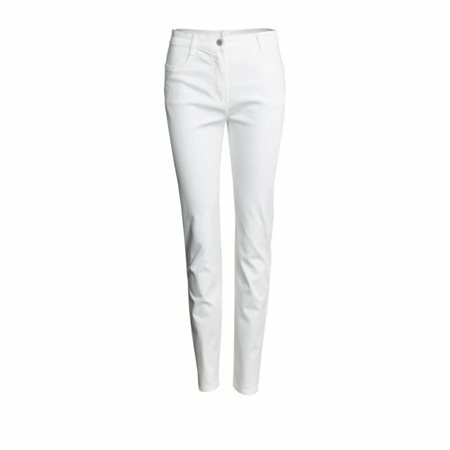 The Mona Jeans by Olsen have been cut with a truly feminine fit with a high waist and relaxed through the thigh and slim leg finish. These ones have been cut from a soft cotton blend fabric in an off white colour with the added benefit of power stretch. The jeans have the classic five pocket design, pair them with an elegant top for a great look.